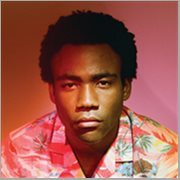 Because the internet [electronic resource] / Childish Gambino. [United States] : Glassnote Entertainment Group LLC : Made available through hoopla, 2013. 1 online resource (1 audio file (58 min.)) : digital. The Library (Intro) (0:05) -- I.Crawl (3:29) -- II. Worldstar (4:05) -- Dial up (0:45) -- I. The Worst Guys (3:40) -- II. Shadows (3:52) -- III. Telegraph Ave. ("Oakland" by Lloyd) (3:31) -- IV. Sweatpants (3:01) -- 3005 (3:54) -- Playing Around Before The Party Starts (0:54) -- I. The Party (1:31) -- II. No Exit (2:52) -- Death By Numbers (0:44) -- I. Flight Of The Navigator (5:44) -- II. Zealots Of Stockholm [Free Information] (4:51) -- III. Urn (1:13) -- I. Pink Toes (3:27) -- II. Earth: The Oldest Computer (The Last Night) (4:42) -- III. Life: The Biggest Troll [Andrew Auernheimer] (5:42).